In this week’s Podcast episode, I talk about all the great features available with the Thrive Leads email opt-in plugin for WordPress and how I made the switch. Believe it or not, I used to have 5 different email opt-in plugins to accomplish the same thing that I now do with just one. I utilized MailMunch, SumoMe, Opt-in Skin, Mailchimp for WordPress and ManyContacts for different individual features, but not any more. After disabling those 5 plugins, installing Thrive Leads and configuring my opt-in boxes, my site performance increased 28% as reported by the site GTMetrix. I thought that was quite impressive and another bonus is that I no longer need to keep those 5 plugins up-to-date constantly. Being able to eliminate all of those different plugins was one huge benefit, but another main reason for making the switch was to utilize all the great, professional looking templates that are already done for you with Thrive Leads. The locations where you will see Thrive Leads in action on the site are currently the bar across the top of the site, the box underneath each post and also the exit intent pop-up, that will appear when you go to exit the site, on desktop browsers. I’d really appreciate it if you’d take a look, let me know when you think and kick the tires a bit. I talk about all the great features of Thrive Leads in full detail on the Podcast, so be sure to listen in, however I’ll also show each opt-in in action here below, for your convenience. Thrive Leads provides all the possible email opt-in boxes that you can possibly imagine and then they go and throw in a few extra ones for good measure. This is a pop-up lightbox that is displayed over your content and very attention grabbing. This is the bar that appears across the top of your website and remains as the user scrolls. You can automatically insert an opt-in form anywhere you’d like, using a shortcode. Create a 2-step signup process by adding call to action buttons, that will then open a lightbox on click. The “unignorable” opt-in form and the perfect way to make sure you get your visitor’s full attention on your offer. This is a very popular one, used with great success. A great way to add an opt-in incentive right inside your content. Reveal it once the visitor signs up. Way cool. Engage your visitors and boost conversion rates by offering multiple choices. You could utilize this one to segment your customers into different email lists, based on the option they choose. All of the opt-in boxes above offer full customization not only on the look and feel, but also on how they appear and when they appear. You can also utilize the SmartLink feature, to only show your opt-ins for new customers. Existing subscribers can be excluded. In addition, they have super easy and powerful A/B split testing built right in. You just create an opt-in box, hit clone, modify something on the cloned copy and click enable A/B test. That’s it. It will then display both opt-in boxes randomly to new visitors and you can even have it automatically select the highest converting opt-in box after a certain number of opt-ins, based on the results. In addition, they also have the Exit-Intent pop-up. That is the one that will pop-up only when the visitor is about to leave your site, by clicking the “X” in their browser window. That is a great time to try and grab the visitor’s email, since it is very likely you would otherwise never see that visitor again. Thrive Leads has a huge advantage over the competition, in regards to pricing. Thrive Leads is a one-time only fee of $67 for 1 site or $97 for 5 sites. All of their main competitors operate on a subscription model, requiring you to monthly fees, which result in much higher costs. SumoMe – $20/month, paid annually=$240 per year, for up to 5,000 visitors per month to your site. Up to 25,000 visitors it would be $39/month, paid annually=$468 and over 25k visitors it increases quickly from there. OptinMonster – $29/month, billed annually=$348 per year. MailMunch – $13.30/month, billed annually=$159.60, or you can do month-to-month, which is $19/month, or $228/year. So you can see that the one-time fee for Thrive Leads is really an excellent deal and by far the cheapest option. It would pay for itself in well under a year, as compared to any of the competing products. Why pay extra when you’ll have all the same great functionality at a fraction of the cost? There is also another option to get ALL of the different plugins and themes that the folks at Thrive provide, via a Thrive Membership for an annual fee of $228. That will give you access to all of the existing plugins and themes, in addition to any future product releases. 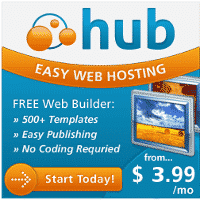 They have released two brand new plugins in just the last 6 months, so you can expect more of the same going forward. Since I was interested in not only the Thrive Leads plugin, but also Thrive Landing Pages (Lead Pages Competitor), Thrive Ultimatum, Thrive Ovation, Thrive Headline Optimizer and curious to also try their themes, I went with the Thrive Themes membership myself. 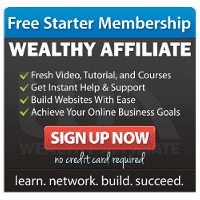 The Thrive Membership is still cheaper than what most of the competitors charge you for just the email opt-in plugin alone. In addition, the Thrive Ultimatum product itself is $197 for an unlimited number of sites, so for just a few dollars more you can get the Thrive Membership and get access to everything. A no-brainer for me, since I was interested in multiple products. The Thrive Membership gives you full access to all of the existing plugins and themes and all new features, themes and plugins that are added throughout the year. Then, after that 1 year is up, you can decide if you want to continue to pay to get all additional products in the future. If not, you can decide not to renew after that first year and you’d still get to keep all the plugins and themes you’ve downloaded and any of them that you are utilizing will continue to work just fine. The only thing you’d be missing out on is future features and new products that they deliver on a regular basis. They would still provide you with critical security updates for all of the existing products that you utilize, for as long as you own them. Additionally, if you happen to purchase one of the Thrive products and want to update to a Thrive Membership in the future, you can do so at a slight discount. The Thrive Membership for anyone that has already purchased one of their existing products is $15/mo = $180/year. Whether you decide to go strictly for the Thrive Leads plugin at $67 for 1 site, $97 for 5 sites, or the full Thrive Membership, you’ll be getting a awesome deal and an amazing set of plugins and themes. The Thrive team is constantly listening to customers and adding in new features and functionality, in addition to providing brand new plugins all the time. They really stand behind their products and provide excellent, very brief video tutorials to get you going quickly, in addition to excellent forums and customer support. That’s pretty impressive and just goes to show you how they stand behind their products 1000%. As always, if you have any questions about any of the products mentioned, feel free to leave a comment below, or reach out via email on my contact page and I’ll get back to you right away. Thanks and for anyone that does make a purchase through my affiliate links, I sincerely thank you ahead of time. I think you’ll really enjoy utilizing the Thrive Leads product and you’ll be pleasantly surprised at the results! Hi, nice review of Thrive Leads. I too am a big fan. I was using SumoMe before but quickly realized how limited you are. For much cheaper you can get all TT themes and plugins, which are awesome. Did you find content builder that fun and simple to use? Totally agree on going with the Thrive Membership for all of the current and future themes and plugins. Great deal if you will be using multiple plugins. I did find content builder pretty easy to use, not sure if I would use the word fun though. If someone asked me what I do for fun, using Content Builder or any other plugin for that matter, doesn’t come to mind. 🙂 But yes, it is easy to use and works really well. Thanks for the comment.